The Center for Media Justice | We created a digital security site to keep you safe. We created a digital security site to keep you safe. From third party attempts to harvest our Facebook data to surveillance programs that target activists of color, it’s clear that threats to our right to organize are growing. At CMJ, we’re responding by taking digital security to the next level, and we want you to join us to defend the movement. That’s why we partnered with MAG-Net member May First/People Link to bring you DefendOurMovements.org, a website full of tips and hacks for digital safety. Since 2016, CMJ has partnered with May First/People Link, Equality Labs, CryptoHarlem founder Matt Mitchell, digital security expert Harlo Holmes, Wellstone Action, WITNESS and dozens more groups to bring movement security to grassroots organizers across the country. This new website features culturally-competent digital security tools and assistance to activists at high risk of police surveillance. Check out the site to learn how to keep your emails secure with encryption, create strong passwords for your online accounts, and browse safely online. Defend Our Movements also has a first-of-its-kind Help Desk run by tech experts who can answer racial justice activists’ questions about digital security and staying safe. 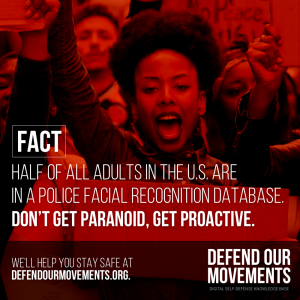 Stay secure online to help #DefendOurMovements. 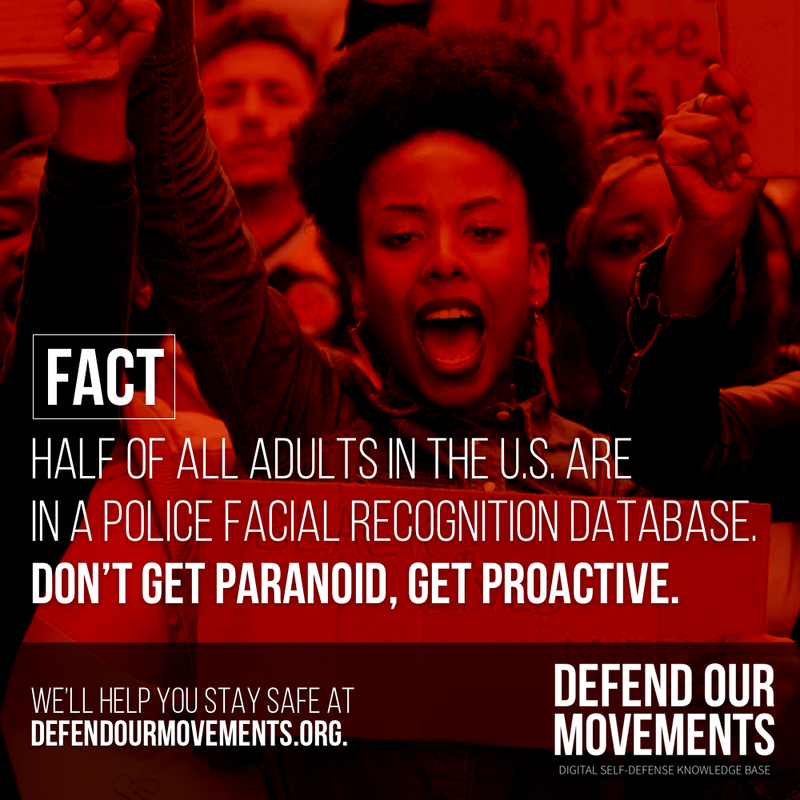 Check out DefendOurMovements.org today! In celebration of the launch of the new site, we hosted a #DefendOurMovements Twitter Chat on Wed, April 4 to discuss security threats to activists in the Trump era, and how to protect ourselves and work together. We were joined by movement leaders and tech experts like Janaya Khan, Linda Sarsour, Matt Mitchell, and many more. In case you missed the #DefendOurMovements chat, click through to this Twitter moment for a quick recap of the conversation and to add your voice. © 2019 The Center for Media Justice.